Product designers must think about more than just what will delight users. They must also understand the core functionality and business goals. Maslow’s Hierarchy of Needs in a design context helps us focus the core tasks of an applicantion on meeting user needs and business goals. In a broader sense, it’s finding a balance between what the user wants to do, and what your business wants the user to do, and what you can implement in each development sprint. Award-winning websites meet all levels of the needs hierarchy pyramid, yet no product launches fully-formed. Even the iPhone lacked copy and paste functionality when it first launched. Designers have to be selective about what goes into the application at each stage of its development. So how do we decide what goes into each sprint as we roll out our longterm vision for the product? The design hierarchy helps us make that decision. Basic functionality and achieving goals must come before delightful animations and visual razzmatazz. Applications must function correctly and solve a problem for the user or no amount of delightful animations and unique visual design will entice the customer to use it. First the site must function. If links are broken, ads prevent the page from downloading, or bad code crashes it, the user won’t be back. Second, the app must solve a problem. If it’s not useful, the user will have no reason to open it again. Third, the interface must make sense and be easy to use. Too difficult to figure out and the user becomes frustrated and will eventually give up. Fourth it is delightful. Those features that make a smile spread across your customer’s face are the emotional connection that brings them back over and over. 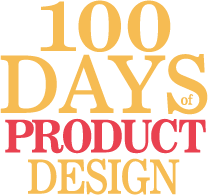 Finally, if your product does the thing no other product does–and does it well–then you’ve got an award-winning application.